Leading the Good Life in the country is a popular dream, but what does smallholding really involve? 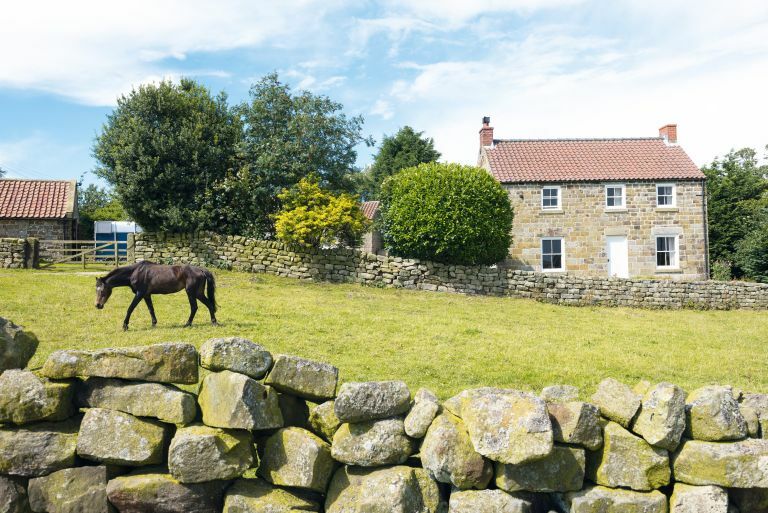 A new survey by farming insurance specialist NFU Mutual suggests that almost half of the population of the UK (47 per cent) yearns for the simplicity and self-sufficiency of a life on a smallholding. In fact, 58 per cent of the respondents named becoming self-sufficient as the main reason they would like to become a smallholder, closely followed by the desire to live a healthier lifestyle (54 per cent) and being happy in retirement (50 per cent). Somewhat worryingly, though, only 22 per cent of would-be smallholders are (understandably) deterred from taking the plunge by the realisation that it would be hard work. There are approximately 45,000 smallholdings in the UK, ranging in size between one and 12 acres. A smallholding is typically understood to be a dwelling on a piece of land that is larger than an allotment and smaller than a farm, and is used primarily for the purpose of keeping the resident self-sufficient. Smaller-sized smallholdings (up to five acres) tend to be used primarily for the growth of fruit and vegetables and poultry, while larger ones can accommodate livestock. According to the NFU, only 24 per cent of existing smallholders report making any profit. Research and forward planning: if you are just planning to sell your urban property and make just enough to feed your family, you might just make it. However, make sure that you have backup funds in case of a bad year (a frequent problem when you are relying on the harvest). Be prepared for expenses: particularly if you are planning on keeping livestock, be prepared that after all the expense involved in animal welfare, the slaughtering and butchering fees, there will be very little, if any, money left. Don't plan on profits for at least five years: thinking of setting up a full-time business on your smallholding, perhaps a veggie box delivery or growing flowers for sale? Think even more funds and more forward planning, with profit in the first five years highly unlikely. Early mornings, late nights: keeping animals also involves early rises and late nights (particularly around calving or lambing season). Be prepared to forego holidays: you'll be committing to smallholding full-time, for all of the year. Determined to press on? Then you'll need advice about choosing a smallholding, and this all depends on your needs, funds – and the level of material comfort you need to live happily. What a smallholding is in practice ranges from a simple bungalow built on agriculturally tied land (meaning if you live there, you have to prove you work in agriculture or forestry) to large mansions where the land is very much a secondary consideration, and may be there primarily for equestrian uses. Still not put off? You'll be happy to know that, despite the difficulties, smallholders report being very happy with their choice to lead a simpler life; it can work, if you are fully informed and are prepared for a complete lifestyle change.